The past two weeks have been super busy for me. In between celebrating my birthday, working, and attending the SCCM conference, I have not had time to relax or step foot into the kitchen. I found out that a friend at work has the same birthday and Amy, my other friend, has her birthday exactly one week after mine so we all celebrated at Ruth’s Chris Steakhouse. Fortunately, it was during San Diego Restaurant Week so we took advantage of their 3-course meal for $40. 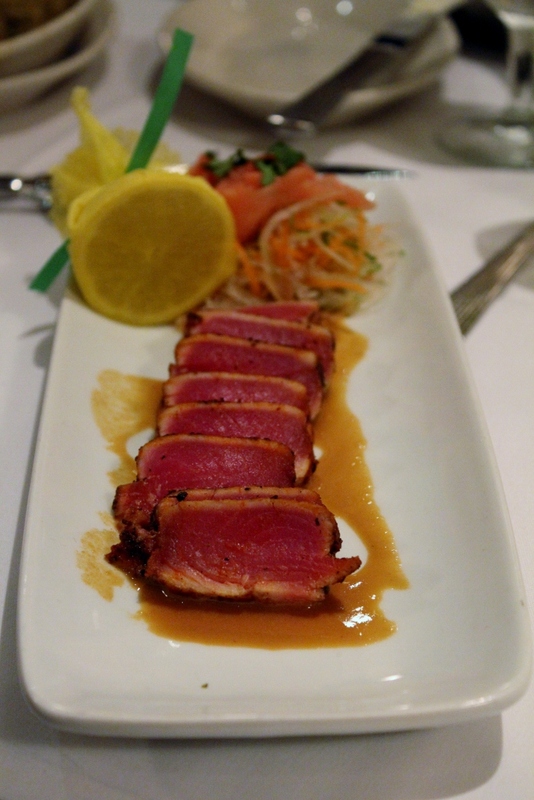 I picked the seared ahi tuna for the appetizer. It was very fresh, comparable to Sushi Ota’s. 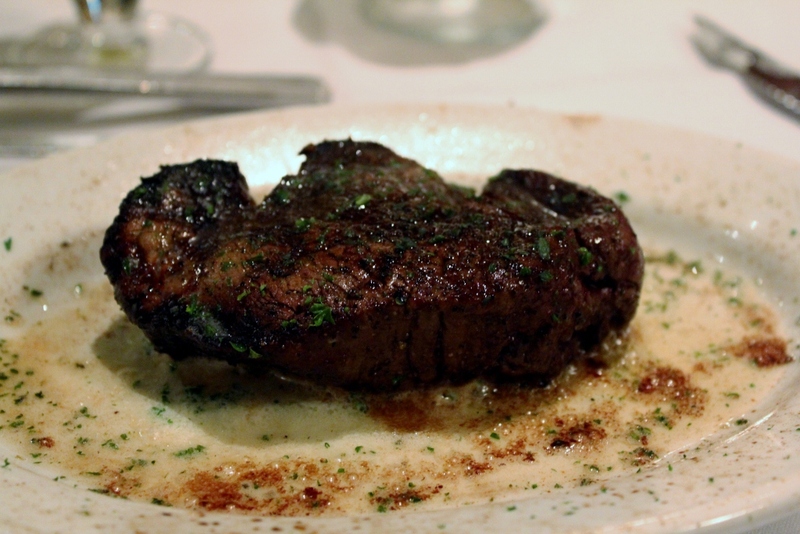 For the main course, I went with the petite filet which I anticipated to be much smaller than the filet mignon, but was pleasantly surprised by the portion. It was a bit dry for medium well but was still delicious! 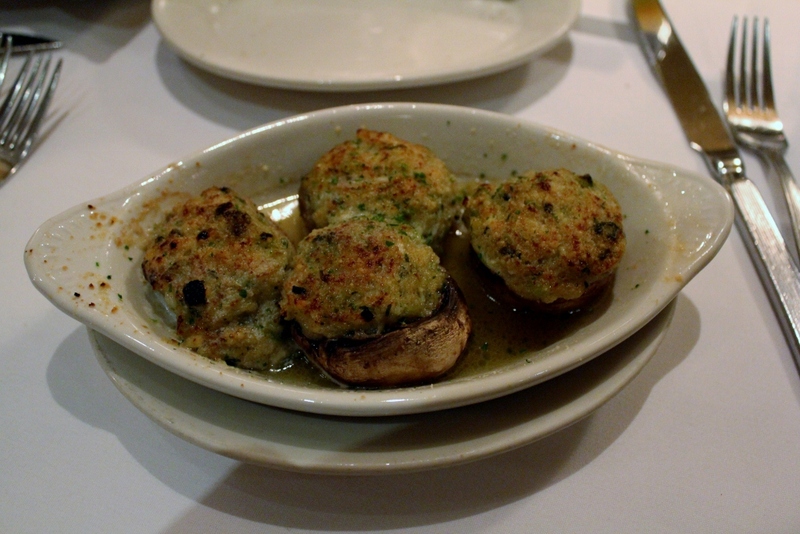 Vu ordered mushrooms stuffed with crabmeat, and they were the best crabmeat stuffed mushrooms I have ever had. Filled with real crabmeat and no filler, they were seasoned perfectly. His 12 oz ribeye was even more delicious than my petite file. 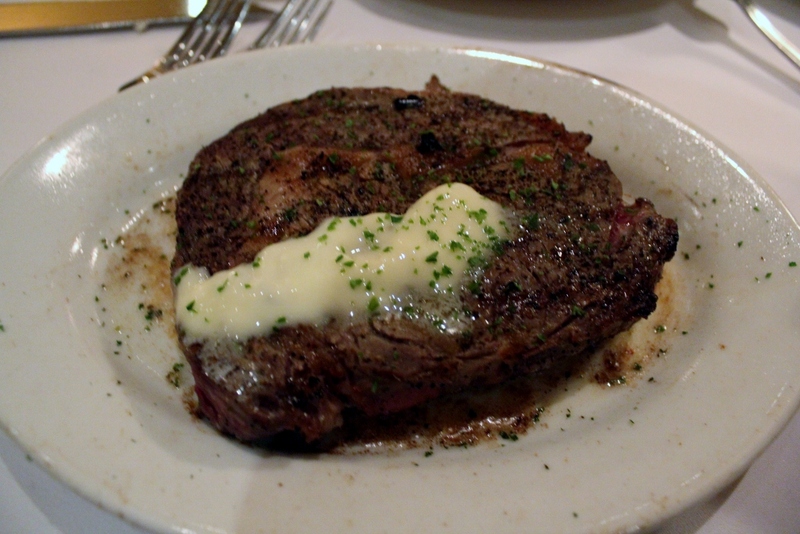 Tender and buttery, it was the perfect piece of ribeye. 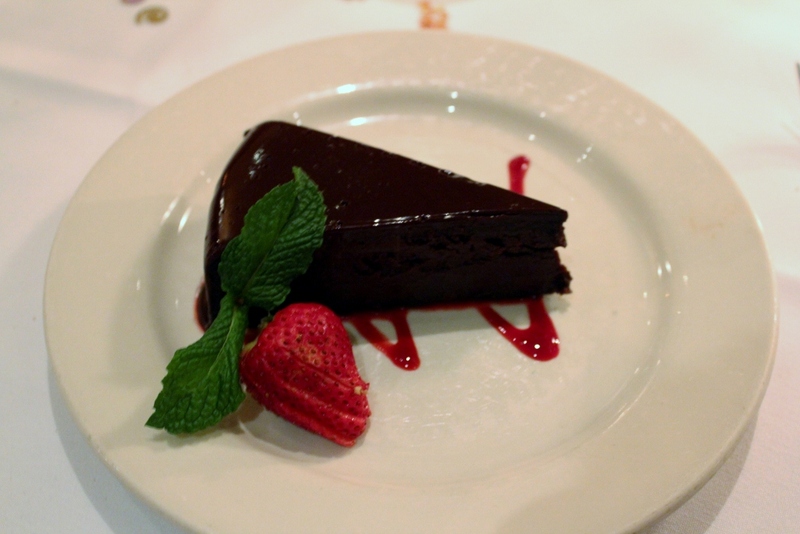 We ended the night with two heavenly desserts, chocolate sin cake and duo of cheesecake and sorbet. The chocolate was light but decandent. I could not stop eating even though my stomach was at max capacity. I did not enjoy the cheesecake as much but the raspberry sorbet was fresh and delightful. 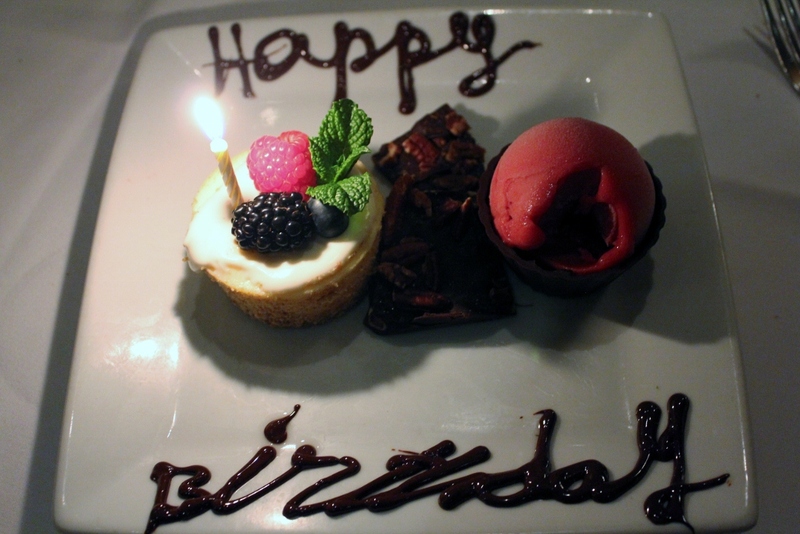 Overall, it was an excellent meal, perfect for a birthday celebration.